Navi Mumbai continues to have the most affordable average rent among all micro-markets of Mumbai. The well-planned city also has a growing footprint of grade-A, and superior grade-A, offices. In addition, it is interestingly emerging as a hub for captive services too. Captive service represents a segment of Business Process Outsourcing (BPO) in which companies utilize wholly-owned subsidiaries in place of 3rd part vendors. 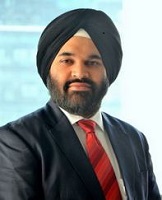 The benefit of doing such an arrangement would be to leverage the cost savings of using offshore resources, while maintaining complete control over process and delivery.Thanks to the availability of land parcels, good connectivity by road and rail to all areas within the Mumbai metropolitan region and access to a human capital of 8-9 million in its proximity, it will emerge as one of India’s most prominent captive hubs for the BFSI sector. Over the last 12-15 months, banks have either set up offices in this region or expanded their existing captive footprint. Whether it is Axis Bank, IDFC or a multinational bank like UBS (the first multinational bank to have set up a captive office here), increasingly prefer to base their back-end operations in such captive facilities here. Banks and other occupiers are happy after moving their offices to Navi Mumbai from Mumbai and most have either firmed up their expansion plans in this region while some others are in the process of doing so. While Axis and IDFC have expanded considerably in this satellite city, SBI – that has its global delivery centre in CBD Belapur – is also likely to follow. Over the last seven years, prominent occupiers such as Accenture, L&T Infotech, Capgemini (iGate), Cognizant and Syntel have made Navi Mumbai an established back office hub. Many more businesses are expected to set up their back-end operations in captive spaces here. The preference is especially for the Airoli-CBD Belapur belt, which enjoys better rail and road connectivity. Two more foreign banks are expected to move their back offices here in the coming quarters. Many other companies are also in different stages of the transaction lifecycle for having their own captive space in this micro-market. Proposals from varied occupiers, for considerably big spaces, are currently underway and if they all go through, it would add another ~1.5 mn sft of captive space take up in Navi Mumbai. This is a sizeable area under consideration, given that only about 3.3 mn sft of captive space was transacted between 1Q2010 and 1H2017 in this micro-market. Captive facilities are either built-to-suit or bought from a developer, post the project’s completion. As many more companies move from their earlier strategy of third-party outsourcing to having in-house back-end processes, taking care of these additional employees becomes hugely important. This, in turn, is driving the spike in demand for captive offices and it is expected to see stronger momentum in Navi Mumbai over the next five years. Apart from the cost arbitrage, the geographical advantage of being situated so close to Mumbai and not far from Pune helps the businesses operating here immensely. Navi Mumbai enjoys access to 8-9 million people from within the city as also from Thane, Panvel, Mumbai’s eastern suburbs and Kalyan-Dombivli areas. Occupiers here are able to offer the ‘walk-to-work’ advantage to many of their employees. Apart from access to such large talent pools and residential catchments, good quality housing with all modern amenities is also available in abundance here. The rents for a 1-BHK apartment range from INR 5,000 to INR 8,000 per month. The social infrastructure is well developed and most areas have access to good schools, hospitals, malls and entertainment avenues.